"I've got to be one of the luckiest CMOs on the planet," said Jonathan Mildenhall of his job at Airbnb, and there are many who would agree. 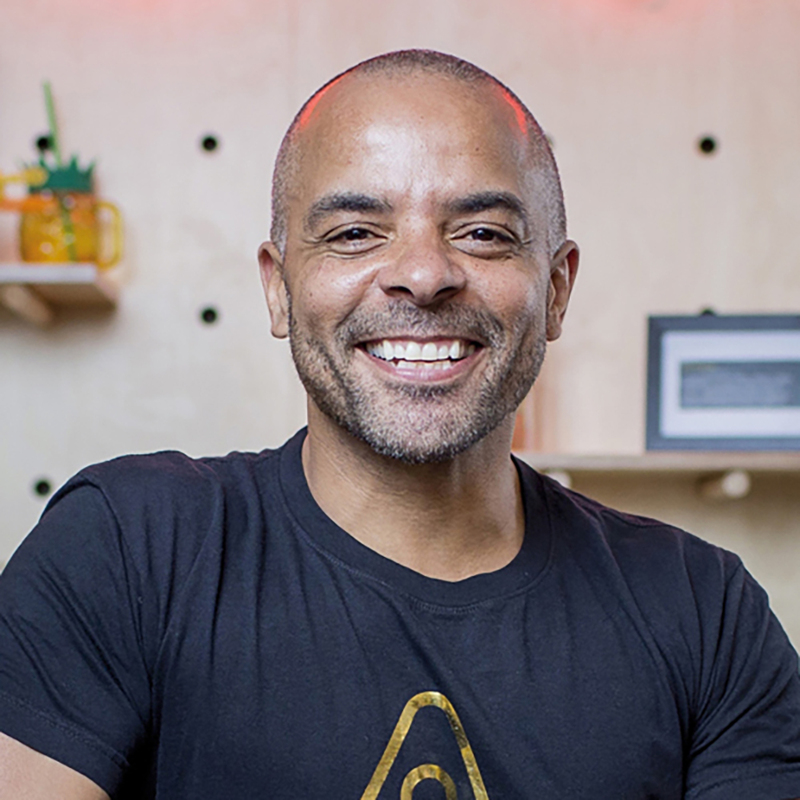 At the helm of what is arguably the 21st century's most disruptive startup, Mr. Mildenhall, 49, has one of the most envied, and exciting, roles in marketing. His ambition doesn't stop there: He describes his task as "build the world's first community-driven superbrand." To those who know him, it's no surprise that this former London agency exec now finds himself living in San Francisco and shaping the way the world travels today. Since he joined McCann-Erickson in London as its first ethnic-minority graduate recruit, he has made waves. Passionate about issues such as diversity and inclusivity, he rose through the London ad scene to become managing director at TBWA/London. After joining Mother, he was plucked by client Coca-Cola to head up global advertising strategy in Atlanta. There, he radically overhauled Coke's creative approach, overseeing campaigns like "Small World Machines," which encouraged people in India and Pakistan to share a Coke via vending machines. 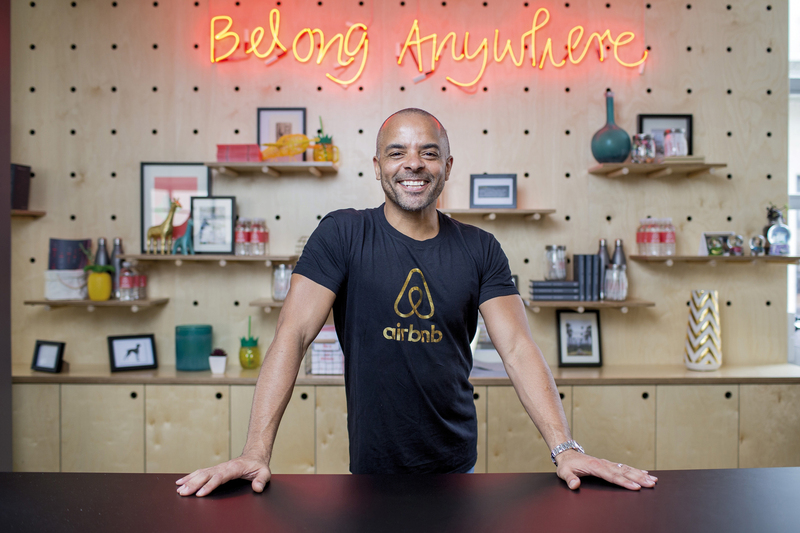 This emphasis on bringing people together is evident in much of Airbnb's creative work since Mr. Mildenhall joined in 2014. One of his personal favorite campaigns so far is "Wall and Chain," an animated short based on a true story of two guards who worked on opposite sides of the Berlin Wall and met later through an Airbnb rental. Compassion and inclusivity are major themes for Mr. Mildenhall. As an openly gay black man, he has been outspoken on the subject of making the ad industry less white, and he strives to include diverse casting in the campaigns he oversees. Under his oversight, Airbnb has increased its media budget. It spent $29 million on measured media in the U.S. during the first six months of this year, according to Kantar Media, the same amount for the entirety of 2015. Since that excludes some primary media for Airbnb—online video, search and mobile—the actual tally is likely much higher. The company's first global campaign, "Never a Stranger," confronted one of Airbnb's biggest issues—staying in a stranger's home—head-on, turning it into a positive. "We took our own tension and made it living room conversation," said Mr. Mildenhall. With its 2016 campaign, "Live There," the brand took the fight to traditional travel. "Don't tour Paris. Don't 'do' Paris. Live in Paris," urges the voiceover. "We are acknowledging a universal truth that modern travel is sick," said Mr. Mildenhall. "The mass-market approach to travel is plaguing the industry. Travel doesn't need to be sanitized; actually, travelers would rather enjoy local experiences with local people in local businesses and buy from local makers—and that's how we want our brand to be recognized." However, not all recognize it as so. Alongside monumental success has come something of a backlash. From critical documentaries (a recent Channel 4 show in the U.K. was titled "Airbnb: Dream or Nightmare?") to legal spats with cities over accusations that it is driving up rents, Airbnb has recently been the subject of negative headlines. So how does its marketing chief address this? "To be honest with you, it is really challenging," acknowledged Mr. Mildenhall. "There are lots of misperceptions about our community. It is our job to work with cities and develop local laws that create a positive impact for everyone. The brand voice has to straddle the purpose of our community and the desires of our travelers." Some people start their day by reading the newspaper. Neil Lindsay starts his by poring through customer reviews and emails. As VP-global advertising and device product-line management at retail titan Amazon, immersing himself in the lives of the brand's shoppers is crucial to getting his job done. "We're at our best when we enable the triumph of everyday heroes—our customers," said Mr. Lindsay, 51, who joined the Seattle-based ecommerce giant six years ago. That could mean creating time-saving products like the popular smart speaker Amazon Echo, introduced in 2014, or innovative services like the Amazon Fresh grocery delivery service. "Our marketing and brand purpose is about how we make life easier." Not surprisingly, the challenge for Amazon, the $107 billion behemoth that has reshaped the retail landscape, is its sheer scale. And that goes for its products too. Consider the Echo, which Mr. Lindsay recently found has too many uses for consumers to count. When trying to develop an effective ad campaign for the speaker, he was faced with having to spotlight just a handful of the problems consumers could solve using Echo and its accompanying Alexa service. Instead, he chose to feature 100. Earlier this month, Amazon debuted "Alexa Moments," more than 100 digital vignettes of 10 seconds each that showcase real-life stories from Alexa users. In one humorous video, a little girl holds out a suspicious green bouquet to her alarmed mother, who asks Alexa to look up poison oak. In another, a tattooed man checking out his backside in the mirror nervously asks Alexa how to spell "eternal." "There are now thousands of skills and so many different ways that our customers use our products," said Mr. Lindsay. "We couldn't squeeze them into 30 seconds or one or two ads, we needed 100 or so to tell it effectively." Amazon, which Jeff Bezos founded 22 years ago, is running "Moments" just as consumers are beginning to think about holiday shopping, and turning to websites like Amazon for their gift-buying needs. The National Retail Federation expects holiday online sales to increase as much as 10%, to $117 billion, this year. Amazon is uniquely positioned to take advantage of the anticipated e-commerce windfall, and it's spending more to spread the word. Last year, the marketer spent $417.3 million on measured media in the U.S., a 9.4% jump over 2014; the brand is now the largest advertiser in the retail category, according to the Ad Age Datacenter. But this isn't the Australia-born Mr. Lindsay's first selling season. He's had a long career in marketing for technology brands, beginning with product marketing at Hewlett-Packard in Singapore. Before joining Amazon in 2010, he worked as chief marketing officer at Sprint-owned Virgin Mobile and Boost Mobile. Mr. Lindsay, who is a Kindle reader and a Prime user, stressed that at Amazon, marketing is above all a team effort that spans many departments. Earlier this year, the brand debuted its first Super Bowl commercial, which starred Alec Baldwin and highlighted the use of Alexa. Mr. Lindsay noted that the buy was an effective way of increasing consumer awareness of the usefulness of Echo as a device and Alexa as a service. Though the ad was created with Leo Burnett Toronto, Amazon doesn't have an agency of record and does a fair amount of work in-house. "The Super Bowl spot was a brilliant demo ad," said Denise Lee Yohn, a branding expert. "Technology companies in general tend to struggle with doing ads that actually sell your product and build your brand at the same time. Amazon, from a TV advertising standpoint, has done a great job of linking their products to emotional value." Beyond TV, Mr. Lindsay is also involved with promoting initiatives such as the annual Prime Day, on which the brand offers special deals and discounts to its members, who now exceed 63 million, according to estimates from tracking company Consumer Intelligence Research Partners. While the inaugural Prime Day didn't live up to the hype last year, the more recent event in July was deemed a success. Amazon said orders were up 60% over 2015. AT&T's "It Can Wait" anti-distracted-driving campaign has been an industry game changer. The corporate responsibility effort has generated massive awareness, won dozens of creative awards and spawned marketing partnerships with leading education, law enforcement and insurance groups. 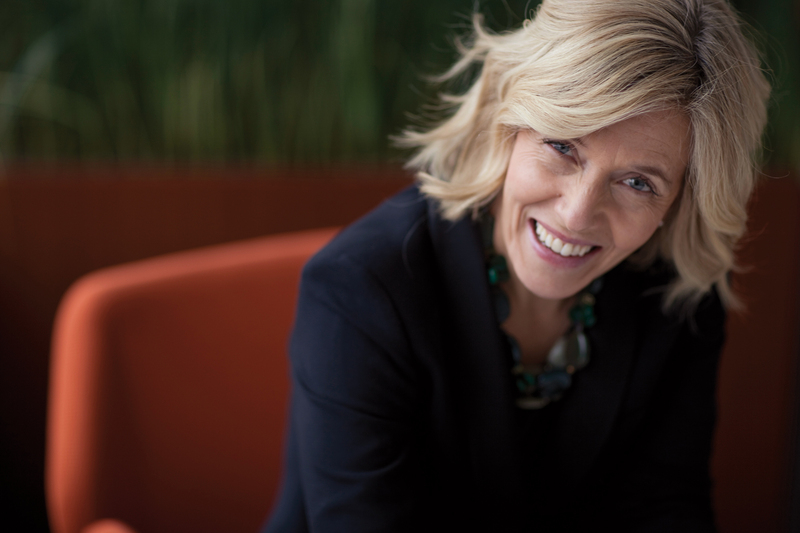 It's perhaps the most memorable campaign to come from AT&T in recent years, but it's just one remit of Senior Executive VP and Global Marketing Officer Lori Lee. Ms. Lee, a 30-year veteran of the company, but new to the top job last year, oversees an ad budget valued at $3.86 billion in the U.S. alone, making AT&T the country's second-largest ad spender, after Procter & Gamble. This year, she spearheaded a massive creative and media account consolidation, asking AT&T's two lead agency groups, WPP Group and Omnicom, to create marketing models to work across AT&T's entire business. The data-and-analytics-driven solution from Omnicom's BBDO and Hearts & Science won. The review, while not uncommon under new marketing leadership, was driven more by the need for efficiency and consistency, Ms. Lee said. "Having significant business with a number of agencies, while very good from a multiple perspective and creative ideas standpoint, can also be more complex in making sure the overall messaging and hierarchy is consistent. We weren't sure we were being as effective and efficient with our spend," she said. "And we wanted to have data, analytics and media all be hand in hand with creative." "She looks for potential in ideas, asks frighteningly smart questions and really gives constructive feedback," said Andrew Robertson, president-CEO of BBDO Worldwide. "She knows how to manage risk rather than pursue certainty and likes pushing the boundaries. Oh, and she also drove an agency-consolidation review for one of the country's largest advertised brands in 63 days from first call to final decision. As if that wasn't enough, she's one of those people you'd be happy to find yourself sitting next to on a plane." Ms. Lee, a finance and operations guru for much of her career, is now looking forward not only to upping message integration across AT&T, but also pushing measurement and attribution to drive better marketing performance for the company's so-called wireline services of phone, internet, video entertainment (which includes DirecTV), customer service and AT&T AdWorks. "It Can Wait" was championed through Ms. Lee's operations group for years. "What we realized is that people may be aware that it may be dangerous, but they haven't yet come to the conclusion that it's wrong. If we could help people understand that it's not just dangerous, but dangerous and wrong, we thought we could affect behavior," 50-year-old Ms. Lee said. AT&T found that 90% of drivers know that using a smartphone in any way while driving is dangerous, yet seven in 10 still do it when driving alone. However—and this was the big insight for the marketer's second iteration of "It Can Wait," this year—only 36% of drivers said they check their phone when there are passengers in the car. An even lower number, fewer than 30%, use their phone while driving if a child is in the car. Tapping that sense of accountability, AT&T set out to change behavior this year with strong creative showing a caring dad whose behavior changes when kids are in the car or not. Called "Unseen" the ad has a tagline lesson of "You are never alone on the road." The adjustment to drive behavior change began with last year's campaign "Close to Home." Meant to foster empathy in a way people can see themselves in the situation, the ad featured a mother who glances down at her phone before sideswiping a truck to catastrophic effect. Its fill-in-the-blank scrolling kicker was "No email/post/glance/search/text is worth a life." Kristin Lemkau isn't afraid of taking risks. 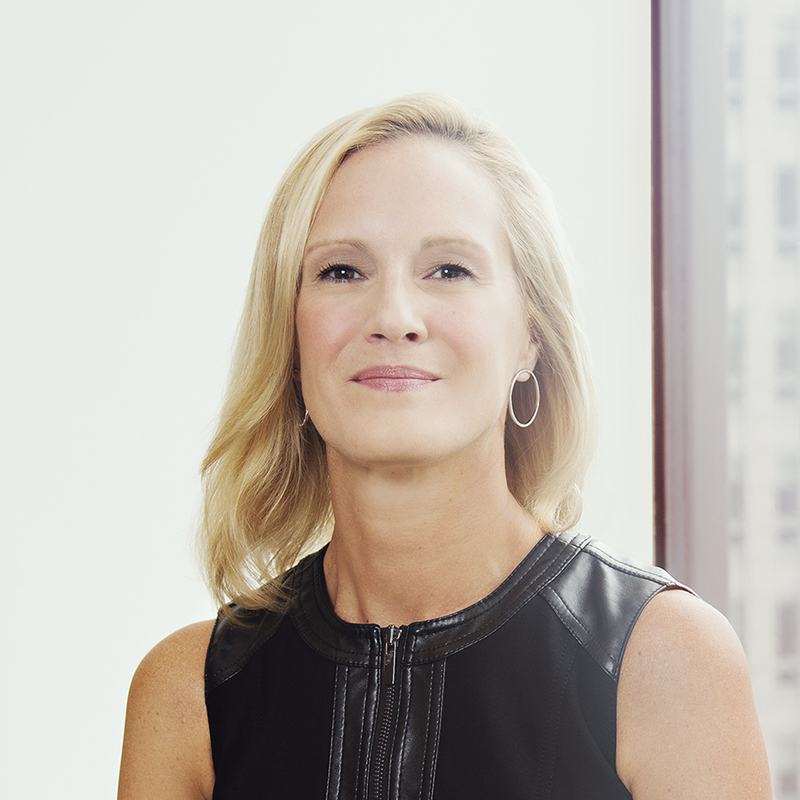 The chief marketing officer of JPMorganChase switched up the company's creative marketing last year, ending a 10-year-plus relationship with McGarryBowen and aligning with Droga5, a shop known for its edgy work. This year, she made headlines for initiating an audit of the bank's media agencies to ensure full price transparency and accountability, putting herself in front of an issue that has long-plagued the ad industry. 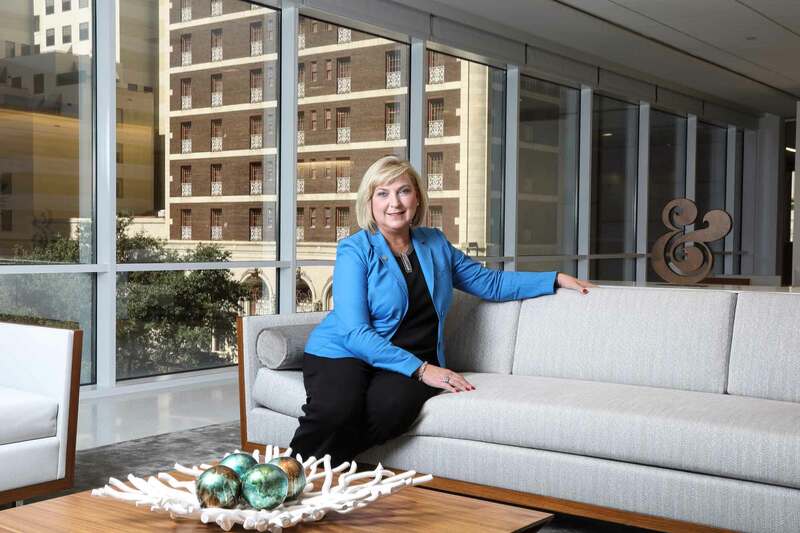 Both moves could be described as gutsy, but for Ms. Lemkau, they're par for the course in fulfilling the 217-year-old bank's brand purpose of helping customers make the most of their lives and money. Ms. Lemkau is just two years into her role as top marketer at the $93.5 billion organization, charged with effectively promoting the three brands of Chase, J.P. Morgan and JPMorgan Chase. But she's not new to the company, where she started in global media relations for J.P. Morgan in 1998. The 49-year-old has worked her way up the ladder, leading communication efforts on the investment bank side and media relations for J.P. Morgan's institutional businesses. Now she's tasked with managing the bank's $2.06 billion in total U.S. ad spending, as calculated by Ad Age's Datacenter. It's been an unexpected career for the Boston-born Ms. Lemkau, the oldest of four who grew up as a self-described "classic bossy girl" and majored in creative writing at Vanderbilt University. "If you were going to tell me I'd be a senior [executive] at a bank one day, I would have said, 'You're nuts, that's the last thing I would do,'" said Ms. Lemkau, who lives in Rye, N.Y., with her husband and two children. But she's now finding that her bachelor of arts in creative writing is coming in handy. "Creative is the new variable," she said. "As you reach out to people in digital channels, people won't care if it's branded if it's good." Earlier this year, Chase debuted its first work from Droga5—in one spot, a dad dressed up as a fairy, complete with makeup, wig and tutu. In another, a retirement-age couple took a stroll with their leashed pet pig in tow. The campaign moves in a new, more daring direction for the long-running financial institution, but it's a necessary development considering that consumer and community banking represents nearly half of the bank's annual sales. "[Kristin] has a very good creative mind, but with very strong business and strategic rigor behind that," said Sarah Thompson, chief executive of New York-based Droga5. "She would never do something just because it's cool, but she would support ideas that will really break through and connect." That breakthrough is happening on several levels. Following a June report commissioned by the Association of National Advertisers that found the industry to be rampant with media rebates unbeknownst to their clients, Ms. Lemkau instigated an audit of Chase's media agency, Zenith, and put its buying on hold. She's advocating for more transparency in the digital supply chain overall. "The model is going to need a look. It's no longer 'Buy upfront media, sponsor a golf tournament and call it a day,'" she said. "The way you reach consumers is changing so fundamentally, between the number of channels you have and the amount of data, the ability to be personalized and getting the balance right." Other marketers quickly followed her lead, with many re-examining their contracts. "She has the advantage of coming in and saying, 'This didn't happen on my watch, but I'm going to clean it up,'" said Graham Brown, founding director of media advisory firm MediaSense. "She's done the right thing, but she's able to do it in a public way." 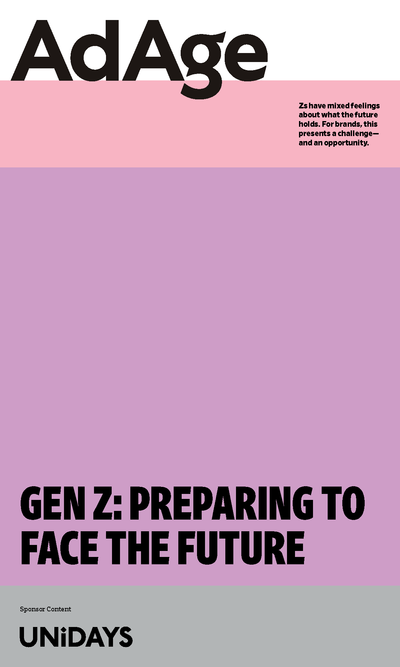 Additionally, in the quest for millennials and younger consumers—a pursuit in which all banks are engaging—Ms. Lemkau is upping the digital ante. The Chase banking app now has 25 million downloads, and the brand is tapping social influencers to help explain its digital abilities to consumers who might still be unaware. Later this month, Ms. Lemkau will debut a digital campaign for the company's new Sapphire Reserve credit card—a recently released product on which Chase has not yet spent a dollar of paid media. The wildly popular card has instead gone viral with enough word-of-mouth marketing that it landed the cover of Bloomberg Businessweek magazine last month. "We are trying to reinvent the playbook because we know that media consumption has changed," she said. "We're not totally there, but we're a work in progress." Pull back the curtain of the Geico marketing machine and you'll find Ted Ward in the wizard's seat. After more than 32 years as VP-marketing, he still looks at every single idea. Which means he's a pretty good judge of what's going to resonate with Americans. You love that Ice-T lemonade stand commercial? So does he. It's his favorite right now. At any one time, Geico is running 15 or more TV ads across three or four different campaign themes. And it always seems that among them are half a dozen edgy, creative ads that deliver the Geico message while staying fresh and striking a fun chord with consumers. Currently, that includes "It's Not Surprising" ads with Ice-T, and another one in a swimming pool with a real-life Marco Polo. A new gecko spot has the small green lizard jumping over a state line in "Virginessee." And the longer-running "It's What You Do" shows Sleeping Beauty fake-sleeping through Prince Charming's kiss so she can watch reality TV; in another, Tarzan and Jane argue over jungle directions. It's an immense volume of advertising, with a blockbuster budget to match. According to Kantar Media, Geico spent $1.1 billion in measured media last year, ranking as the country's second-most-advertised brand, behind AT&T. "We're relentlessly consistent in our messaging that says you can save money by spending a little bit of time with us," Mr. Ward said. "I wish there were a secret sauce, but it's really that simple." Part of the brand's consistency has to do with the Berkshire Hathaway subsidiary's longtime agency partner Martin Agency, hired in 1994 by, you guessed it, Mr. Ward. Geico's first account executive back then was Matt Williams, who is now Martin's CEO. And the two current account leaders, Steve Bassett and Wade Alger, both group creative directors, have worked on the business for more than 15 and 10 years, respectively. "Ted knows his brand in his heart. He has such an amazing feel for the voice and message of Geico. He's just intuitively a creative and strategic guy," said Mr. Williams. 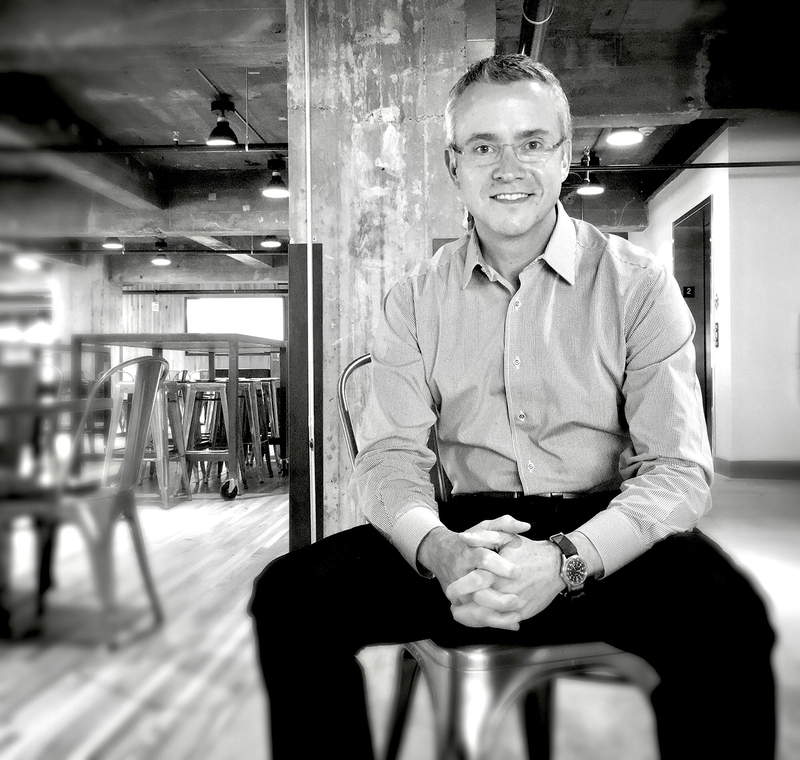 "He treats the agency like a true partner and is completely open about his marketing and business challenges. He pushes us to do great work but he does it in a spirit of collaboration." 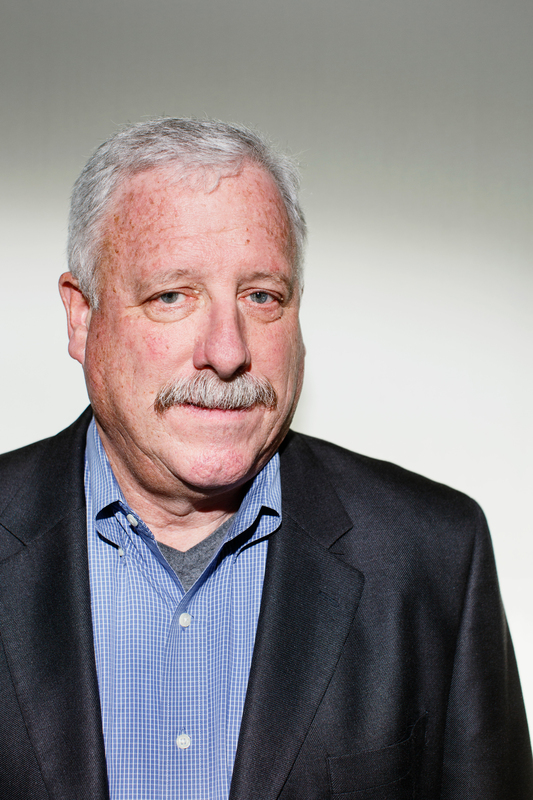 One tenet the 65-year-old Mr. Ward lives by is little to no front-end research. Geico isn't trying to appeal to everyone, he said, adding, "One sure way to water stuff down is pretest it and aim for the middle. … We don't want to offend anybody, but we don't really care if everybody likes it. … If you're not operating a little bit on the edge, you're going to end up with a mediocre result." The industry approves. Last year's "Unskippable" online pre-roll campaign won a Cannes Grand Prix award last year, and was also Ad Age's Campaign of the Year for 2016. Regardless of how much the company operates its marketing with gut feeling, Geico is still data-driven. Extensive data gathering is in the company's DNA, from as far back as when it sent out direct-mail pieces and counted the returns. Today's more sophisticated analytics allow the company to sharpen marketing in real time. Geico also has its own in-house programmatic trading desk, which presents an advantage over the competition. General Mills got plenty of attention this year when it announced a creative agency review across U.S. retail brands from Cheerios to Yoplait that generated $10 billion in revenue last year. But it is not the size of the review that made the ad industry sit up and take notice. It is the stipulation that agency creative departments in the hunt should include at least 50% women and 20% people of color. 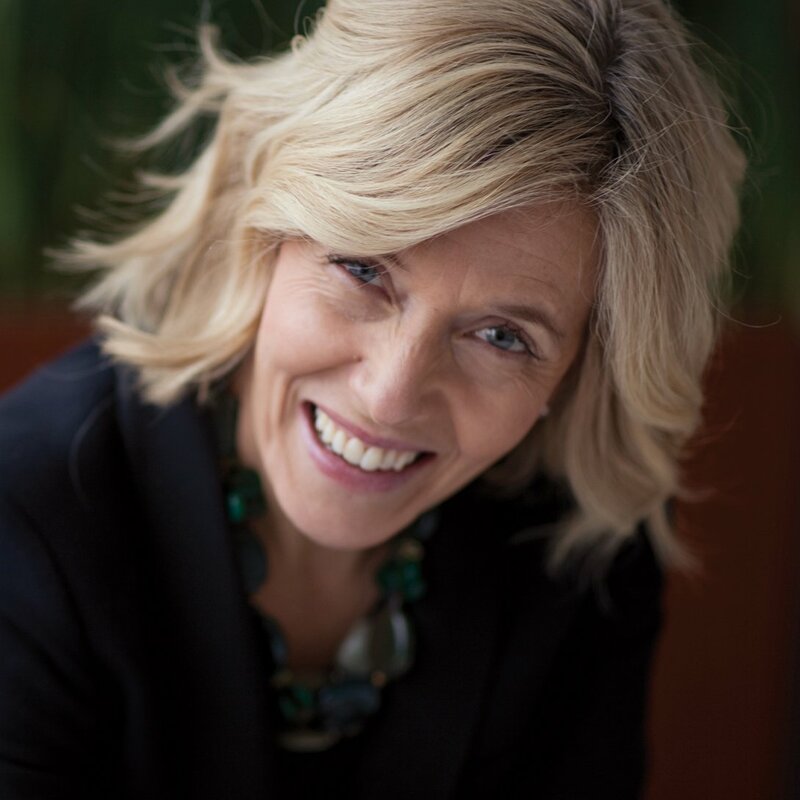 Ann Simonds, chief marketing officer of General Mills since November 2014, is one of the architects of the industry-leading effort, which has since been followed by HP and Verizon. The mix General Mills is seeking from its agencies, she said, is the type of diversity that General Mills has in its U.S. marketing organization. "However, this is not a quota. We wanted to state our expectations and how important we feel it is for creative agencies who will be partners in the U.S. to share in our commitment to diversity and embrace the diversity we ourselves strive to meet in our U.S. marketing organization," Ms. Simonds said. "We believe this will strengthen the creative work for our brands and better reflect the diverse perspectives of the consumers we serve." They are consumers Ms. Simonds has gotten to know well. 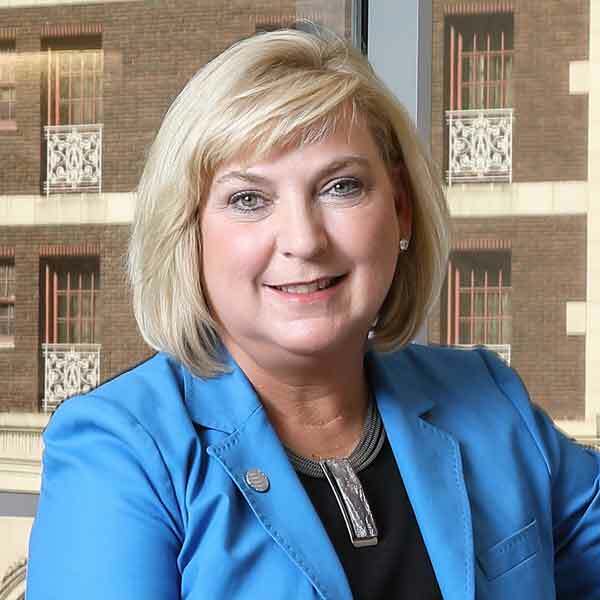 She has been with General Mills since 1995 and her tenure included time on brands such as Cheerios, Wheaties and Yoplait. Just before becoming CMO, she spent eight years as president of the company's baking division, overseeing brands including Betty Crocker, Bisquick, Gold Medal and Pillsbury. "I picked and stayed at General Mills because I have never been asked to be anything but the best version of me," said Ms. Simonds, 53, who previously spent five years at Johnson & Johnson and holds a bachelor's degree in economics from Smith College and an MBA from Harvard. General Mills President and Chief Operating Officer Jeff Harmening, who joined the food marketer a year before Ms. Simonds, recalled some of the projects she worked on before her promotion to CMO, including a Cheerios literacy program and the Stirring Up Wishes campaign for the Make a Wish Foundation. "Ann has spent two decades at General Mills as a curious, impactful marketer, who is passionate about understanding deeply the people we serve," Mr. Harmening said. "I've always known Ann to be equal parts empathetic and courageous." 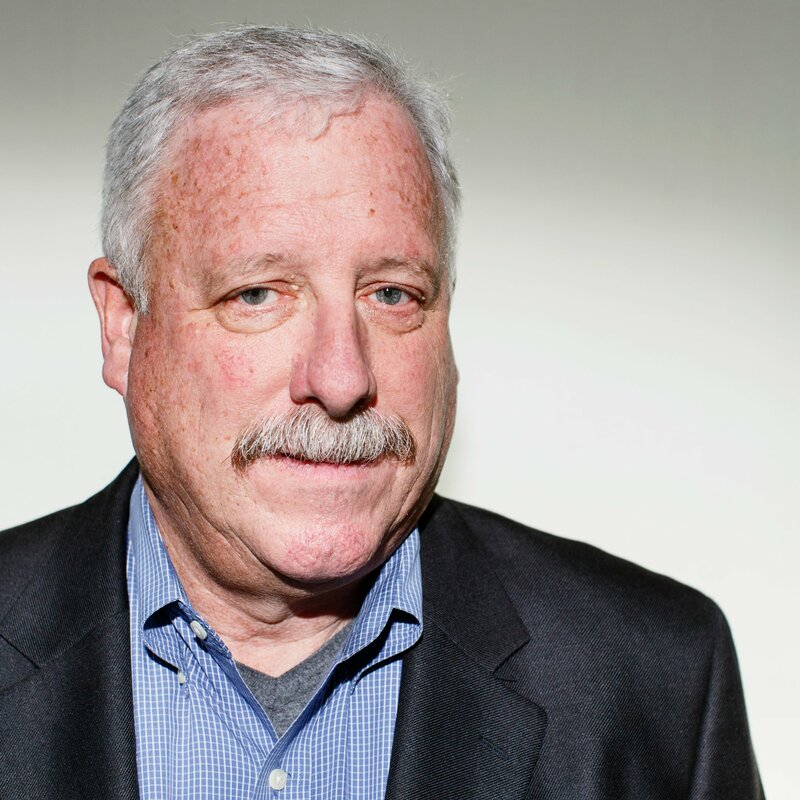 Mike Burns, a principal at The Burns Group and a former executive at Saatchi (one of the famed Saatchi 17) worked for many years with Ms. Simonds on the General Mills business. "She is one of the rare marketing people who really understands the nuances of strategy and creative," said Mr. Burns. "She took risks and chances," he added, specifically citing a commercial that artfully showed a couple winning over two adopted children by making happy faces with Cheerios. The spot, filmed in Russia, was so successful it was turned into a 90-second commercial, he said. "What I remember most distinctly was her ability to see the big picture," said Dave Shea, a former Saatchi creative on Big G cereals who is now a creative director at Ferrara & Co. "Ann's purview of the marketplace, the rapidly evolving media landscape, and the unique role each one of the General Mills brands played in the homes and hearts of consumers helped us all be better marketers." Ms. Simonds said the only way marketers can grow the business "is to be deeply curious about the people you serve and deliver for them. While all of the plumbing of our craft is changing, it has, will and will always be about being curious to learn something new and do something about it." Now, along with Chief Creative Officer Michael Fanuele, she is working to decide which agencies and other partners General Mills wants to work with. At the same time, the company, like many other marketers, is keeping a close eye on costs. Its U.S. advertising spending declined 13.4% to $709.2 million in 2015, according to the Ad Age Datacenter. This year, results for the brand with the biggest marketing budget, Yoplait, have been disappointing. How do you humanize a big, old tech company with a buttoned-down reputation, and in the process try to make artificial intelligence more palatable to people whose way of life it seemingly threatens? Try giving the technology a name, Watson, and a distinct personality. Then tether it irrevocably to the IBM brand. From Watson playing humans on "Jeopardy" in 2011 to talking with Bob Dylan in 2015, or even buying much of its own digital media programmatically, it's become a growing force for Big Blue. 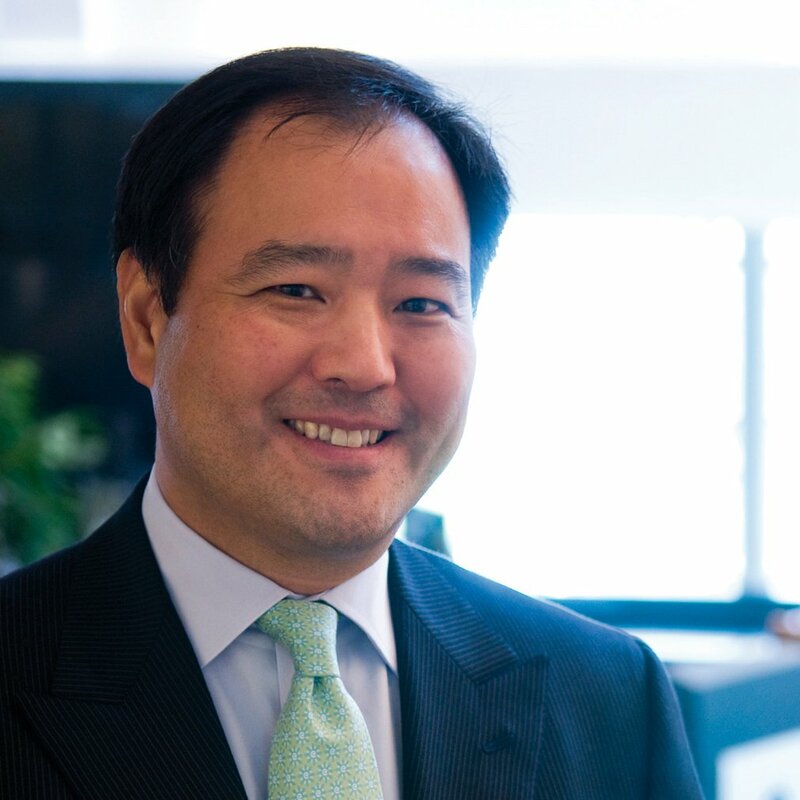 Behind that effort is Jon Iwata, 53, senior VP-marketing and communications for IBM, who oversees strategic brand platforms that include Watson and IBM's older Smarter Planet initiative. He also oversees marketing for such things as IBM Interactive Experience (iX), which he bills as the largest digital agency in the world, albeit with a focus less on digital advertising and more on creating comprehensive customer experiences. Watson has "profoundly shaped the IBM brand," Mr. Iwata said. "He simultaneously personifies what we believe and stand for, and also how we believe technology should relate to people. I don't mean the interface, but the relationship of technology to humanity." So Watson talks with Mr. Dylan about language, or to a North Face executive about how artificial intelligence can fairly effortlessly match people with the right products. "We believe in man and machine," Mr. Iwata said. "We don't believe in man versus machine." Because of how IBM and lead agency Ogilvy & Mather have stewarded Watson, Mr. Iwata said he hears comments such as people referring to the technology "as a humble genius, which I think is appropriate." The same might be said for Mr. Iwata. "One of the many things I love about Jon is that his power doesn't come from position, but rather from influence and skill," said Lou Aversano, CEO of Ogilvy New York. 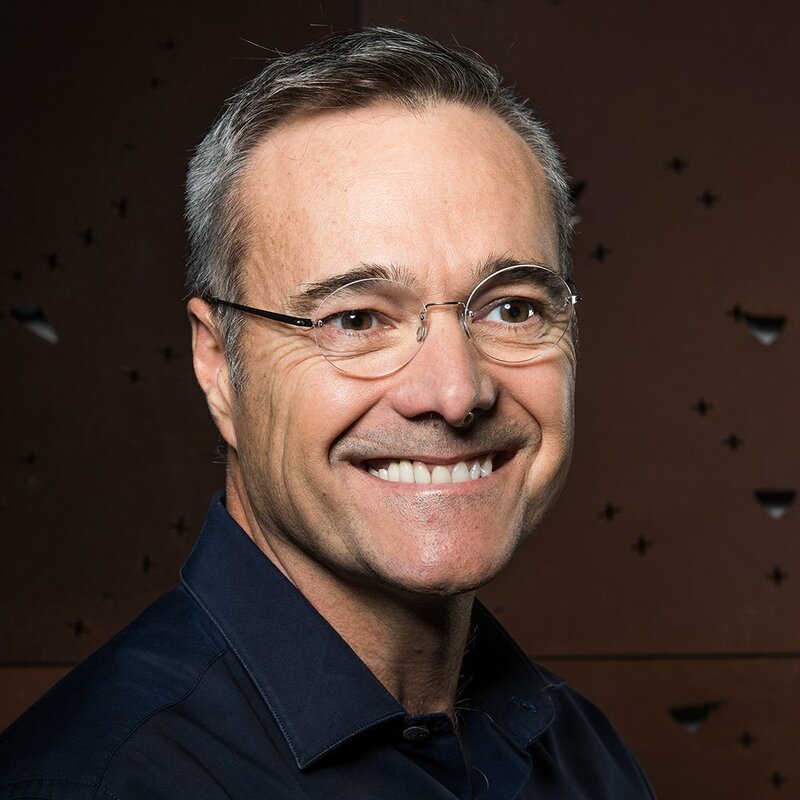 "Jon possesses that rare combination of passion, determination, intellect and influence, which makes him not only a brilliant marketer, but a leader for the IBM brand and business." 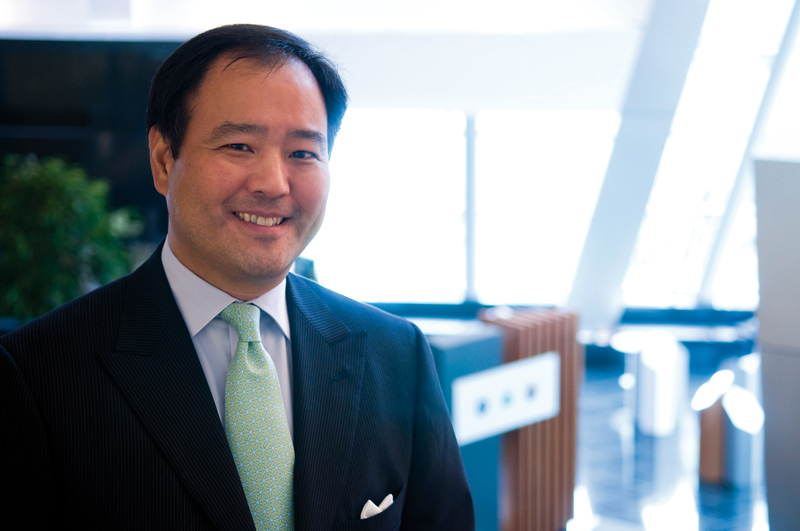 Watson's combined branding and advocacy mission stems in part from Mr. Iwata's own career, which started after he graduated from San Jose State University in 1984 with a journalism degree. He originally worked in the communications department for IBM's Almaden Research Center in Silicon Valley. He moved to the company's Armonk, N.Y., headquarters in 1995 as VP-communications and has been there ever since, assuming his current role also overseeing marketing in 2008. "I would say my background in communications, where we think about policy and issues like jobs, and privacy and trade, actually has benefited the way we think about marketing and the brand, because it's more fully clothed," Mr. Iwata said. So initiatives such as Smarter Planet or Watson focus "not only on how people think about IBM, but how they think about technology reshaping business and society," he said. Essentially, IBM has made itself a standard bearer for the tech industry in general. "It's rather risky for marketing to invest in conversation and communications programs that don't just focus on your products and services, but try to persuade people that something is happening in the world they should pay attention to," Mr. Iwata said. Those risks aside, Mr. Iwata has served under four IBM CEOs and reported directly to three, a record of longevity that would be the envy of most chief marketing officers in what's often a short-tenure position. His career extends from the days when IBM was a fierce Apple foe to the present, when the two companies partner on product development and he has a Mac on his desk. One of his earliest experiences on the broader tech advocacy front came in 1995, when IBM made what was then a controversial prediction that the internet would be an important tool for business. "People laughed at it," he said. "I remember my CEO showing me articles that IBM doesn't get it—that stodgy, buttoned-down IBM thinks the internet is going to be used for business." Mr. Iwata isn't sure the secret to his longevity is really a secret. It's more the modus operandi of IBM. "A 105-year-old tech company is really a rarity, and it's only possible because the company and the people reinvent themselves," he said. That's part of why IBM also finds itself in the seemingly unlikely spot of being in the agency business, through moves such as this year's acquisition of Resource/Ammirati. Or why its data analytics, consulting and cloud businesses increasingly serve marketing departments. 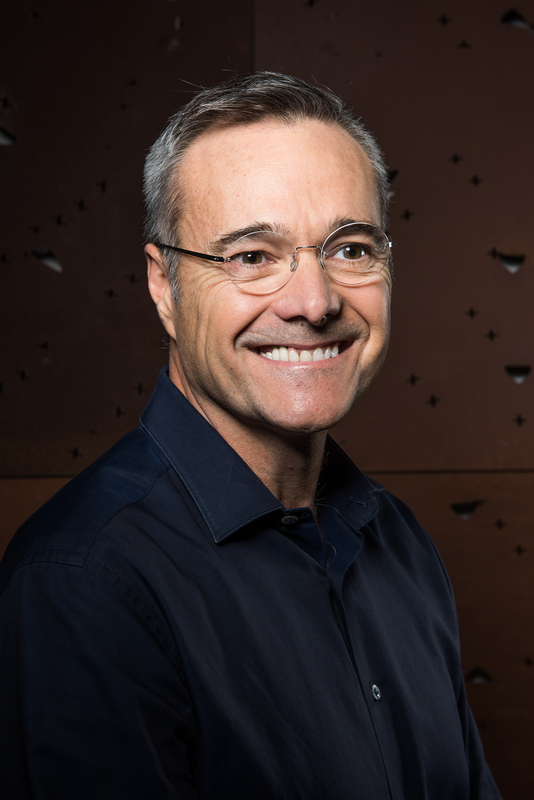 Greg Hoffman started at Nike in 1992, when he borrowed his parents' van to drive 27 hours from Minneapolis to Portland, Ore., to start working as a design intern. In the 24 years since, he has led marketing and design efforts that have influenced not just Nike, but the broader sports and retail world. Flash back to 1996, when he was on the team that created Manhattan's Niketown, where its multimedia displays and interactive elements were considered cutting-edge at the time but are commonplace in retail today. Then flash forward to this year, when Mr. Hoffman, who was promoted to chief marketing officer in June, led the disruptive "Unlimited" campaign. The effort somehow managed to squeeze an Ironman-competing nun, a transgender Olympic athlete and a mountain-climbing quadruple amputee into the same campaign. It is one of the most-diverse and most-watched campaigns of the year. The 18 films drew 480 million digital views and 1.1 billion TV impressions, according to Nike. 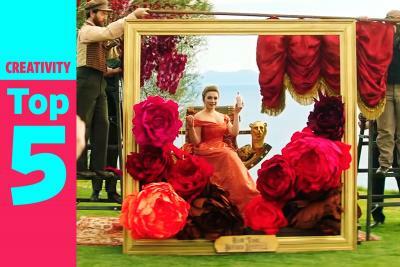 Three of the ads made Ace Metrix's list of the top 10 breakthrough ads from the third quarter. The goal was to "redefine the definition of what greatness is," said Mr. Hoffman, 46. "Oftentimes, I think people don't see themselves as athletes. But the reality is that part of our role is to ensure that people know that they have the potential to achieve great things on their terms." Which may also be true of Nike. Budget aside—the company ranked No. 29 in Ad Age's Leading National Advertisers report with $1.4 billion in U.S. ad spending—the company has an outsize influence on the marketing world. Consider the eye-catching experiential campaigns led by Mr. Hoffman. In 2015, when he was head of global brand creative and experience, he oversaw a project at the NBA All-Star Game in New York that included a LED basketball court on which visitors could relive some of Michael Jordan's famous shots. Wired magazine called it the "world's coolest basketball court," gushing that it was a "jaw-dropping immersive environment" and like a "video game augmenting real life." Nike wanted to take consumers to "a place that they couldn't even dream up," Mr. Hoffman said. But "at the end of the day, what [such exhibits] are designed to do is inspire the best out of all types of athletes." A designer by trade, Mr. Hoffman is a "true creative at heart," said Chris Willingham, global business director at Nike agency Wieden & Kennedy. But he also has "fantastic business acumen," he added. "He really gets the science and the art and he's a sports person ... and he gets technology. So he really is the full package." 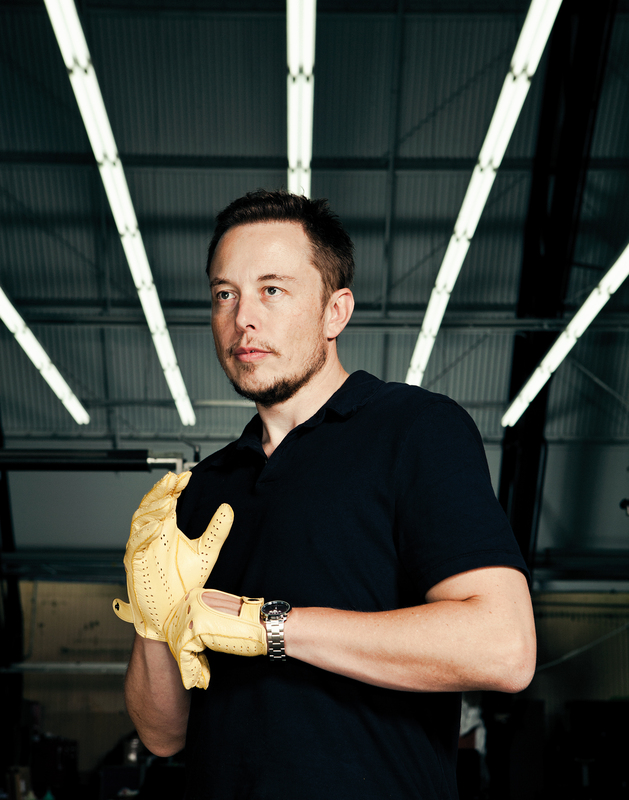 It is too early to say if Tesla founder and CEO Elon Musk will change the auto industry for good—or even if Tesla will be successful in taking a substantial piece of the market with its mass-produced Model 3, which won't be available until 2017. Here is what we do know: The 45-year-old South African-born entrepreneur's grand ambitions have already had an impact on auto marketing—and if his vision becomes a reality, the changes will be monumental. Look no further than BMW and Nissan, which preemptively attacked the Model 3 in ads this year. It's not often you see the big guys so worried about the little guy. In recent TV ads, BMW plugged its 330e electric plug-in hybrid by taking a jab at its smaller competitor and the fact that the much-hyped Tesla Model 3 won't be available for a long while. The concerns are justified. Traditional automakers rely on a network of dealers to sell their latest models with the support of big traditional ad campaigns. Mr. Musk is seeking to turn that model on its head by going direct to consumers with Tesla-branded stores. And, so far, Tesla hasn't even had to turn on the advertising spigot. Tesla Motors did not spend a single dime on measured media in the first seven months of the year, according to Kantar Media. It didn't need to: When Tesla's Model 3—which is its first mass-marketed car—was announced in late March, the introduction generated so much hype that thousands of people plunked down $1,000 deposits on the car, which is expected to retail at about $35,000 and have a range of 215 miles per charge. As of late July, Tesla had taken 373,000 orders for the Model 3. Mr. Musk is "trying to disrupt the actual vehicle itself, selling only electric vehicles that don't pollute the air or use fossil fuels," Michelle Krebs, senior analyst for Autotrader, said in an email. "He's also trying to disrupt the way cars are sold, selling them directly from the automaker instead of through franchise dealers. He's challenging state franchise laws to make that possible." She added: "He clearly has had success in waking up sleepy giant automakers, who are now making electric vehicles and plug-in hybrids. 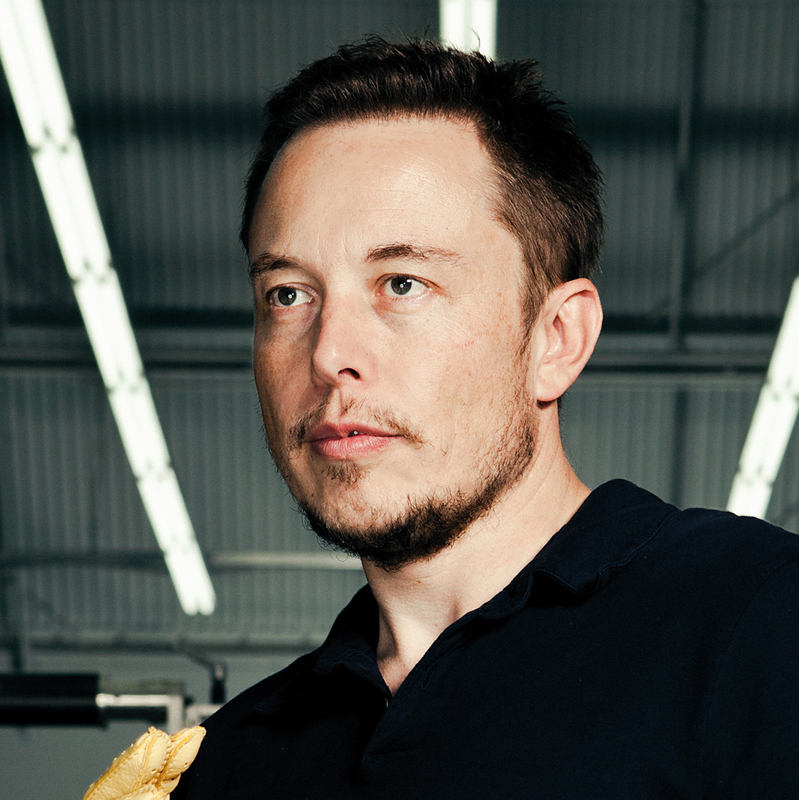 The Chevrolet Volt, for instance, would not exist today had it not been for Elon Musk." Even his tweets are disruptive. Earlier this month, when Mr. Musk teased to his 5.5 million followers a "Tesla product unveiling on the 17th (unexpected by most)," it set off a wave of speculation, including countless news articles. Uber has become arguably the world's favorite business model metaphor, spawning such analogies as the Uber of ad agencies, the Uber of laundry or the Uber of just about anything that can be done with a distributed, on-demand workforce at the click of an app. But what about the Uber of Uber? Bloomberg reported in August that the company lost $1.2 billion in the first half of 2016, including $100 million in the U.S. in the second quarter, though much of the losses came from a China venture since spun off to a rival turned partner. One bright side: You've got to be able to raise a lot of money to lose that kind of money. Perhaps another, Jeff Jones' Uber arrived days after that report, almost like the push of a button. The former Target chief marketing officer, 48, was hired in late August as president of Uber with responsibilities for customer support and operations—and a profit-and-loss statement—in addition to marketing. "As we grow, marketing is becoming more and more of a thing, and it was clear we needed a real infusion of talent on that front," said Uber founder and CEO Travis Kalanick, to whom Mr. Jones reports, in a blog post announcing the move. "So we went big." "Jeff is more than a marketer, he is a leader," said John Boiler, CEO of 72andSunny, who worked with Mr. Jones at Target. 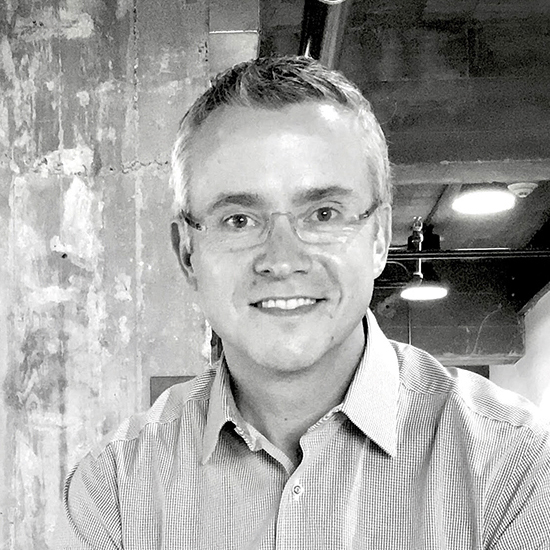 "He was able to restructure departments, while recruiting a new breed of world-class talent." And in Mr. Jones, Uber is getting a fearless marketer. "Jeff greenlit a four-minute commercial on the Grammys two years in a row—a feat not for the faint of heart," said Mike Sheldon, Deutsch CEO North America, who worked with Mr. Jones on Target. "But oftentimes, the more uncomfortable ideas made him, the more interested he was in pulling them off." In an email interview, Mr. Jones said, "I believe I had the best marketing job in America at Target and was not looking for a new role." But he said over several months of getting to know Mr. Kalanick and the Uber team, "I realized the opportunity to lead the ride-sharing business globally was a chance to have a significant and lasting impact on the people and systems and cities across the planet. It became a clear choice." Uber hasn't just changed the way people think about transportation, he said, but also "set a benchmark about what on-demand means across many, many industries." The brand itself, he said, is "no question … best known for enabling people to push a button and get a ride." Controversial statements by Mr. Kalanick have led some to say Mr. Jones needs to soften Uber's image and improve its appeal with female consumers. Asked how he believes Uber needs to bolster its brand, Mr. Jones said: "In cities around the globe, Uber is having enormous impact on the ability for millions of people to earn a living, reducing congestion and pollution, saving lives by helping to reduce drunk-driving incidents and shaping the future of urban mobility. Great brands know that reputation is an outcome of the products and experiences it creates and how it serves its customers." The veteran of such agencies as McKinney and Leo Burnett didn't say what role advertising will play in that. But the heavy dose of operational experience in his new job was one of the big lures, and something that will let him shape the "products and experience." "Jeff understands that nurturing a brand has as much to do with driving traffic as discounts and promotions. And he puts his marketing budget where his mouth is. In fact, some of our most business-driving work came from advertising and events you'd swear were pure brand plays." said Mr. Sheldon. "What gets me so excited about this role is the opportunity to create a new model that fuses customer obsession, marketing, global operations and customer support," he said. "In the end, all of our work is focused on attracting, engaging and retaining driver partners and riders." The Ad Age Power Players are the executives setting the branding and marketing agenda. These are the people challenging assumptions in the industry and leading others to follow. This list is not based on budgets—though some of our 10 are among advertising's highest spenders—but instead recognizes the influencers and disruptors who are moving marketing forward. Key corporate, division or brand marketing executives at 25 largest advertisers. Ranking based on 2015 total U.S. ad spending. Ford Motor Co., Dearborn, Mich.
Johnson & Johnson, New Brunswick, N.J.
Walt Disney Co., Burbank, Calif.
Capital One Financial Corp., McLean, Va.
Deutsche Telekom (T-Mobile), Bonn, Germany/Bellevue, Wash.
Bank of America Corp., Charlotte, N.C. Source: Ad Age's 200 Leading National Advertisers. Go to AdAge.com/lna2016 to see methodology including explanation of unmeasured and measured-media spending. Measured-media spending from Kantar Media. Photo credits: Jonathan Mildenhall: James Horan for Airbnb; Neil Lindsay: Daniel Berman/AP Images for Advertising Age; Lori Lee: Misty Keasler for Advertising Age; Kristin Lemkau: Shannon Taggart for Advertising Age; Ted Ward: Melissa Golden; Ann Simonds: Courtesy General Mills; Jon Iwata: Courtesy IBM; Greg Hoffman: Amy Harrity; Elon Musk: João Canziani/AUGUST; Jeff Jones: Courtesy Uber. Online production: Chen Wu.